Rustic, elegant & functional. 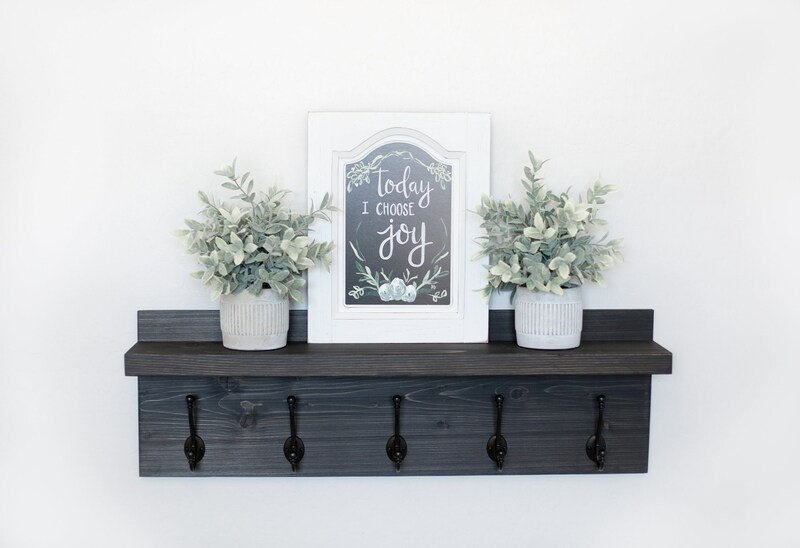 This stunning Rustic Wooden Entryway Coat Rack will greet your guests at the door with style. 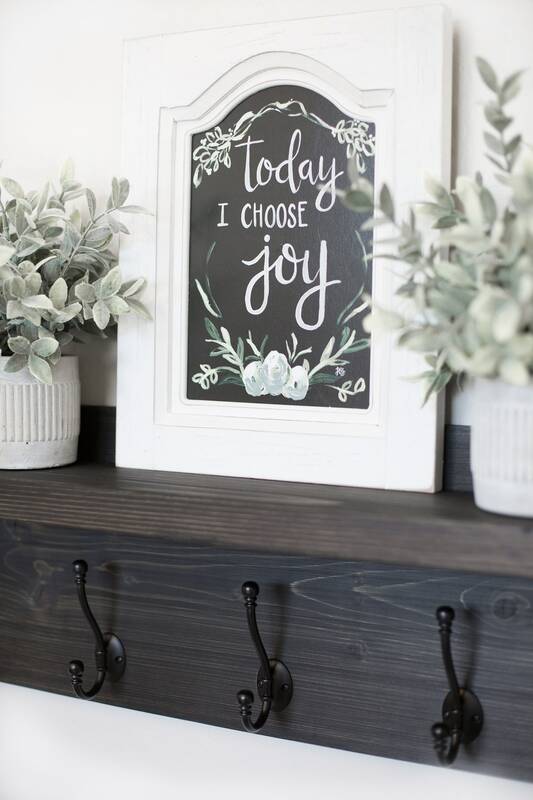 Such a beautiful piece that's extremely practical as well. 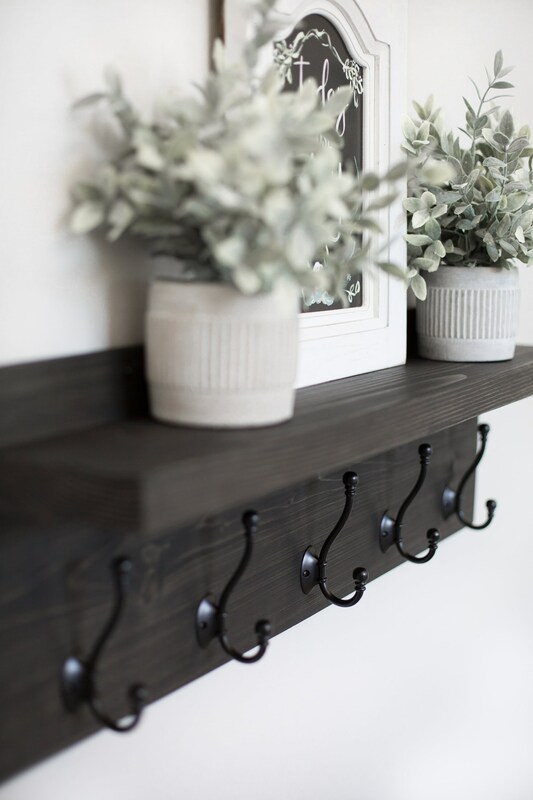 The floating shelf adds decorative flair, where you can switch up your decor year around. 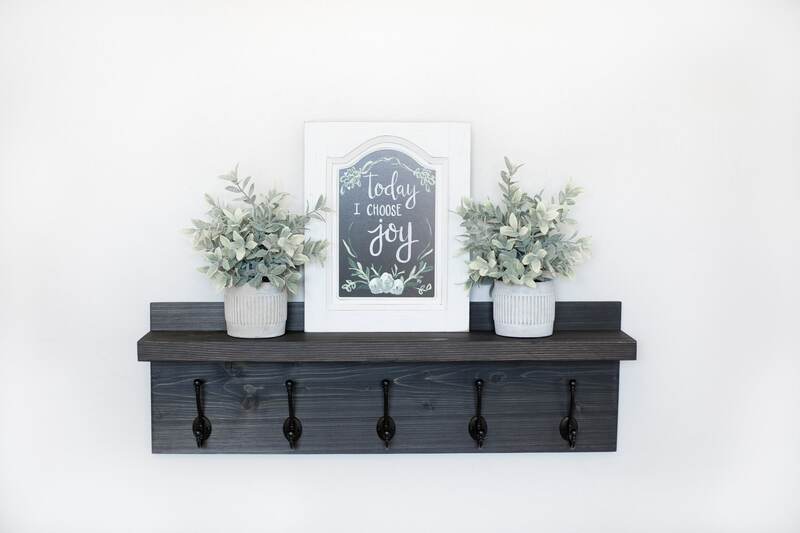 Q: What color are the coat hooks in the main listing photo? 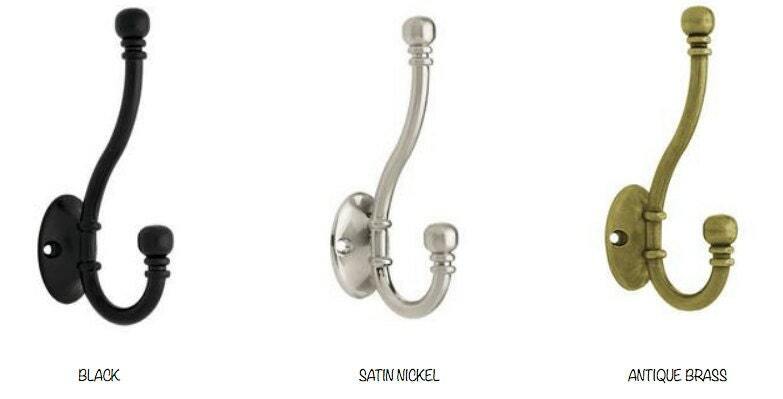 A: Black, but we offer Satin Nickel & Antique Brass as well. 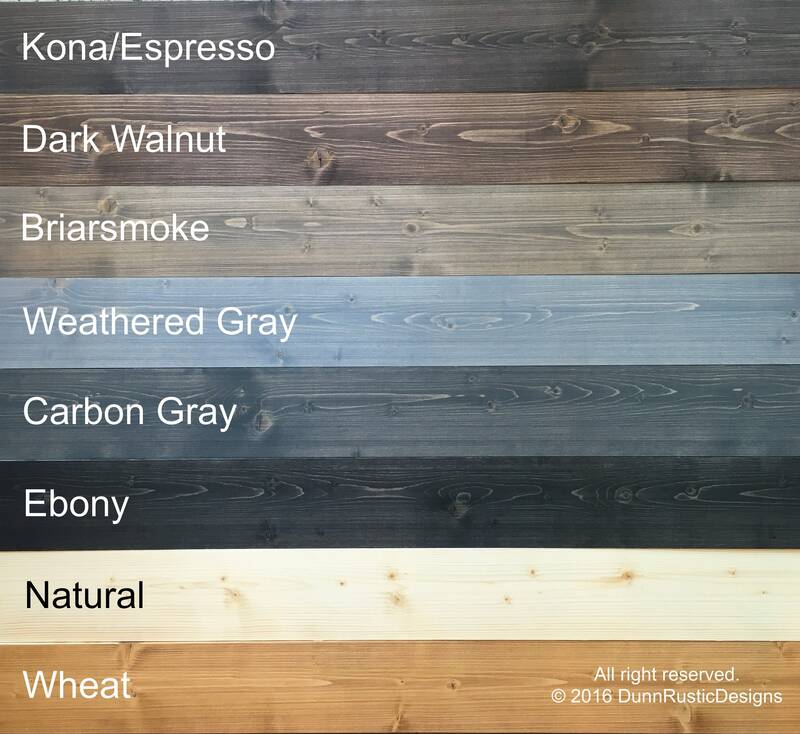 Please refer to the listing pictures to see each hardware color! Q: What are the dimensions of this piece? 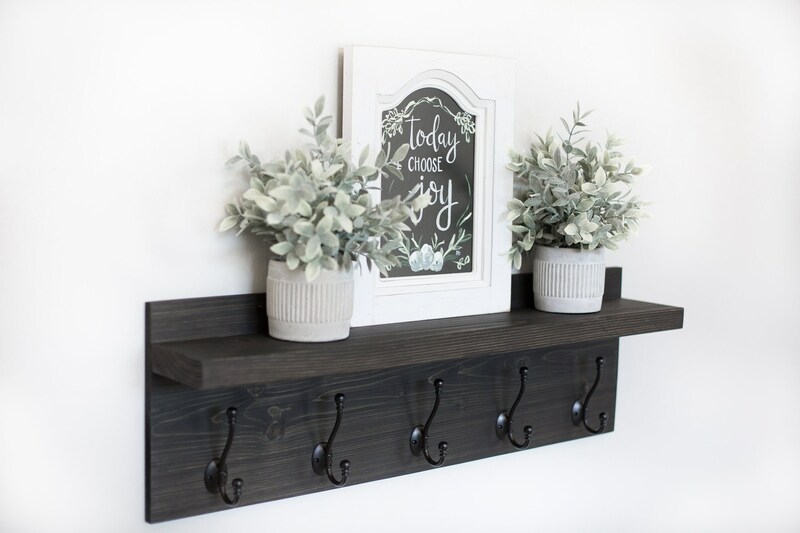 A: L: 34" W: 11.25" D: 6"
A: The usable shelf space to display objects is about 5.25"
A: The shelf depth is about 6"
A: We will pre-drill pilot holes in the shelf itself for you to screw directly into the wall for a sturdy and secure mount. We provide the screws , anchors, and instructions for mounting.